TAHS STATE SPEECH MEMBERS this year were, from left: Maddy Schumacher, Kaylee Campbell, Angelique Woodrich, Chandra Moua and Levi Yang. Maddy Schumacher’s third-place finish in Discussion at last week’s Class A state meet was so very well-earned. 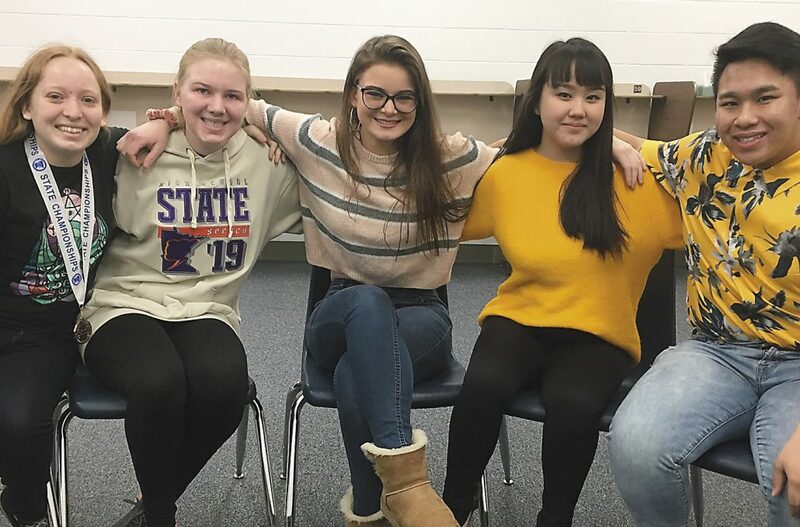 Schumacher — one of five Tracy Area High School students who advanced to state at Wayzata High School — defeated last year’s Discussion champ en route to her big finish. Schumacher, a senior, is proud of her third-place finish, in part because in Discussion, competitors have no idea going in what the judges are looking for.